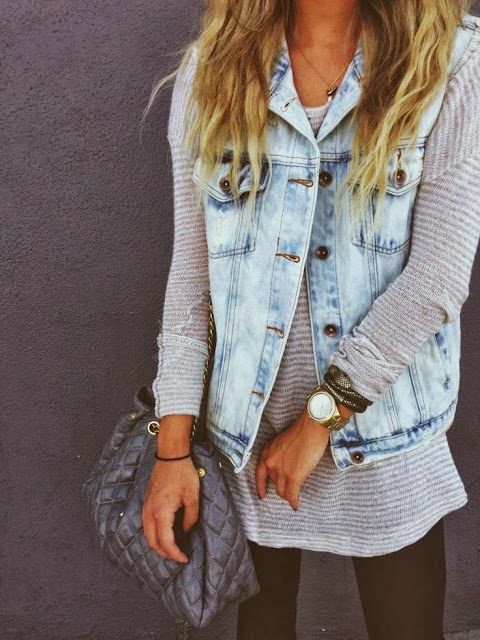 Get this sweater outfit idea awith a jean vest by sporting a stripped gray sweater and a light blue denim jean vest with numerous bracelets and a gold watch. Use black leggings or a pair of black skinny jeans and top it all off with a gray bag. Add a necklace or scarf for more flair.